Still trying to get a gauge on how Dennis Hickey and his philosophy on talent. With that said, we know the Dolphins have obvious needs that have to be addressed. Free agency will be used, and that always effects how a team drafts. One thing that I do believe is that Tampa Bay likes to draft kids from BCS schools. I thought I would put a little something out there for you guys to chew on. Without question, OL is THE #1 issue that Miami needs to address. Taylor had an inconsistent year this year, but the talent level around him dropped and OL is about chemistry level as well. He still had a solid year and in his matchup against Jadaveon Clowney in the Outback Bowl in 2013, he did a great job against Clowney. RB Lamar Miller is a nice back, but he is a finesse back. 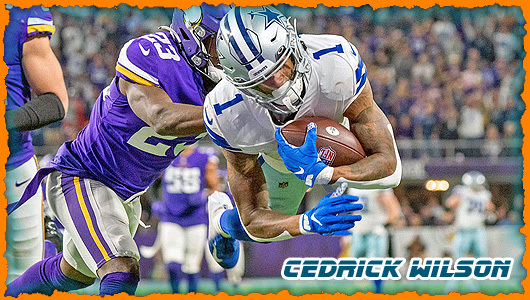 And while his pass blocking has improved, there has been times were he has just been overpowered. Hyde is a big, physical back that runs with power and has some shake to him and good speed for a back his size. Miami needs a more physical back, especially on short yardage plays. 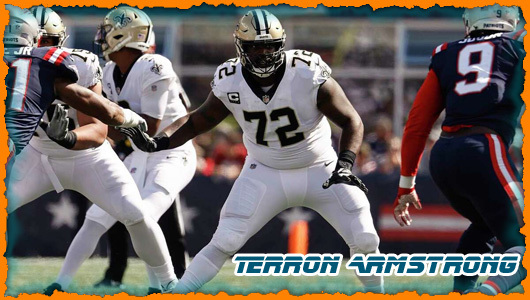 Once again, the Dolphins have to address the OL, as ORT John Jerry seems to not be able to control his weight and his play has not been what you would want. Thick compact frame that is ideal to gain leverage, but quick enough to pull. Is coming off a partially torn labrum, which he had surgery on and missed the Sugar Bowl. Miami went from a top 10 unit against the run to finishing 24th against the run. Both Paul Soliai and Randy Starks are free agents. McCullers was a kid that demanded a double team and was still a force against the run. 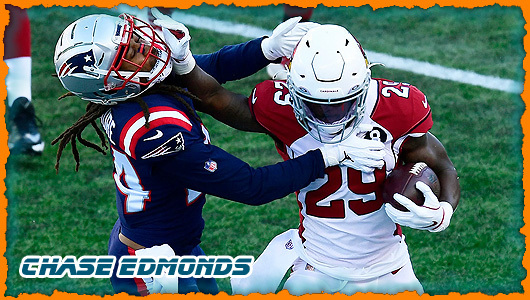 Chris Clemons is a free agent and the Dolphins could always use a playmaker on the back end. The redshirt junior ended his career as SC with 11 career interceptions and 222 tackles. 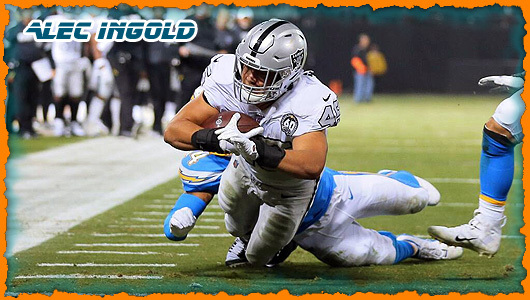 ORT Tyson Clabo got off to a slow start, but played better once he got a chance to get his job back after the Jonathan Martin/Richie Incognito fisaco. But he still had a lot of issues and he getting up in age. Fleming is a powerful run blocker that struggles with speed on the edge, thus he is strictly an ORT. Aaron would be projected much higher if not for tearing his ACL at the Senior Bowl. Miami has to make a decision on Dmitri Patterson and Brent Grimes is a free agent along with Nolan Carroll. Miami has Will Davis and Jamar Taylor, but Colvin is a talent worth taking a chance on at this point. I also expect Brent Grimes to be re-signed as well. We got a long way to go and a lot of things that are going to change. Be sure to download our browser toolbar for Firefox, Internet Exploder, and now Google Chrome. We keep it updated with all the current links that keeps us informed. I promise you that will not be able to live without this toolbar! Today is my 22nd anniversary to my wife, Michele. It has been a great ride and I look forward to another 22 years (Lord willing). 1. 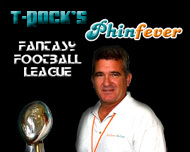 Philben to bench Tannehill in favor of Matt Moore? CBS sportswriter Jason LaConfora talked to an unnamed GM this week who said that in his conversations with Joe Philben that there was a possibility that Philben could bench Tannehill in favor of Matt Moore if he does not see any improvement. First of all, I hate seeing that this is a quote from an unnamed source. The next red flag that bothers me is that someone is quoting Philben on this. I am sure if this is true then it was a private converstation, but it shouldn't have been said by either of them anyways unless they are trying to create a little more controversy in the Miami clubhouse. Players are very devoted to their quarterback. I don't mind competition (and I honestly think that Philben could really use some), but when I look at the body of work done by Ryan Tannehill over the past two years I am happy with the results. There is nothing wrong with pushing your QB through competition, but come game 1 Tannehill will be the starter. He was a high first round pick and has done nothing to lose his grip on the position. As a head coach, either you believe in him or you don't. I've watched Moore's career since he played here in NC and can say that he is up and down . 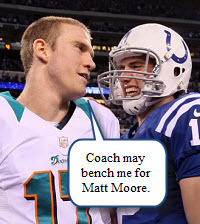 I enjoyed Matt's toughness after taking over after the 3rd game of the 2011 season, but let's face it, those 6 meaningless wins knocked us out of the Andrew Luck sweepstakes whom I consider the best QB to come out of college in a very long time. I honestly don't get the criticism of Ryan Tannehill. He's been the best quarterback that we've had since Dan the Man. Do you know what I think is the problem with some fans? Comparing Tannehill to Marino. No one that we will ever draft will ever compare to Marino ... not even Hall of Famer Bob Griese. Marino was a great quarterback. Let Tannehill be the quarterback that he is supposed to be. 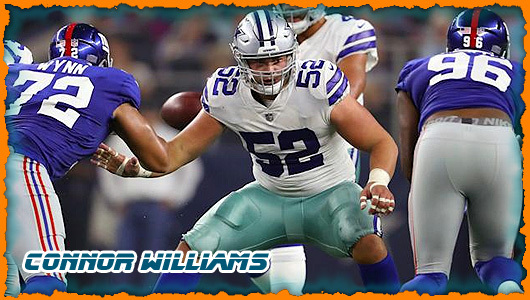 There are holes in Tannehill's game: he has problems with the deep pass (perhaps we now have an OC that will actually practice the deep pass), he doesn't step up into the pocket (maybe if the OL would give him more time and better pocket protection he could improve this part of his game), and he doesn't use his athleticism to buy more time (I don't have an answer for that one). 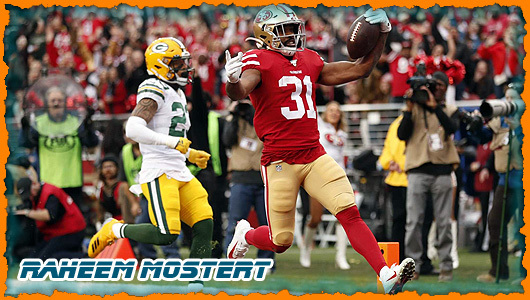 Look at what he can do: quick release, makes quick decisions, can put the ball in a tight area that only his receivers can catch, very accurate 10-20 yards, hits his receivers in stride, and is the best quarterback in his class to throw on the run. Let's not forget that Sherman expect Tannehill to carry the Dolphins offense without an offensive line or running game. You couldn't ask for a better prospect. I am concerned about the last two games as much as any of you, but let's be honest, the entire team took a nosedive in those last two games. 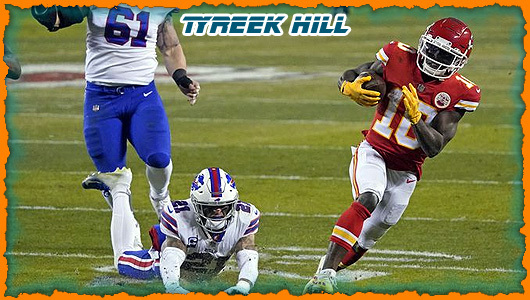 If it were just Tannehill then I would be more concerned about him, but when the entire team takes a vacation playing for their lives against AFC East rivals, then it goes beyond the players. Leadership is taking ownership for the fact that you had a stupid snap count and never fixed it, your offensive coordinator was a joke and you didn't want to let him go and you couldn't coach up any offensive linemen. 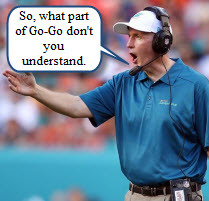 Realization is the first step and Philbin has trouble with it. 2. 2012 - the year of the quarterback? A big congratulations goes out to Seahawks QB Russell Wilson for for being the first quarterback from the class of 2012 to win a Super Bowl. This is where I give myself an attaboy and remind you all that I had said that Russell Wilson was going to be a very good quarterback in the NFL despite his size. All that you see in him at Seattle is what I saw in him at NCSU. I watched him grow. When he first started as a freshman, my Wolfpack's OL was horrible and he used his legs and arm to win games and keep us competitive. Our coaching staff convinced him to stay in the pocket more and work on his accuracy. He broke the NCAA record for most attempts without an interceptions his sophomore year. In his 3rd season with us he developed great accuracy. His mind was always ahead of college game and I had no reason to believe the NFL game would confuse him any. All that being said, I'll never understand why some people think that a Super Bowl win makes the winning quarterback "super". All I know is that the 2012 draft was a great year for quarterbacks as it turned out 5 starters and 2 tweeners. Osweiler gets an incomplete as he sits behind Peyton Manning and does not get to sniff the field, but in spot work he has looked to be a possible starter/tweener, too. Even though Luck does not have a Super Bowl win yet, I still consider him is the most talented quarterback in that group of quarterbacks. 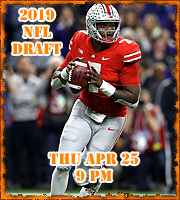 Indianapolis quarterback Andrew Luck was selected first, and then coming in at #2 was Miami Dolphins signal caller Ryan Tannehill, chosen ahead of the man who was picked before him in the actual draft in RGIII, and new Super Bowl champion Russell Wilson. That's great praise for Tannehill whom Philben is "rumored" to be mulling the silly thought of starting Matt Moore over him if he doesn't show more "improvement" in his game. Every year this rating could change. At the end of the first season I think the consensus would be that RG3 would have been the first QB off the board. 1. Andrew Luck (still the most talented QB in that class). Next week I'll probably give you all my thoughts on the Incognito/Martin embarrassment, but I won't spend a lot of time on it. That whole thing just needs to go away.